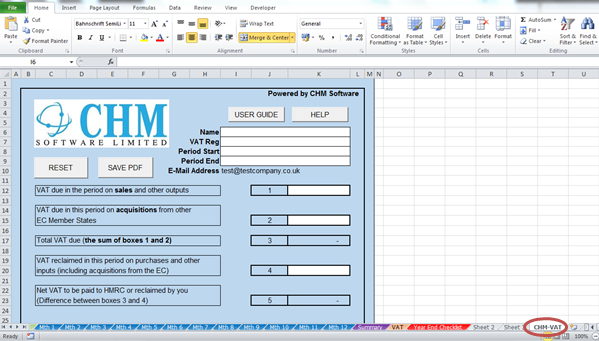 If you wish to embed the Excel MTD Bridging Tool into your own spreadsheet, you will need to open both the CHM MTD Bridge and the spreadsheet you wish to embed the filing tool in. 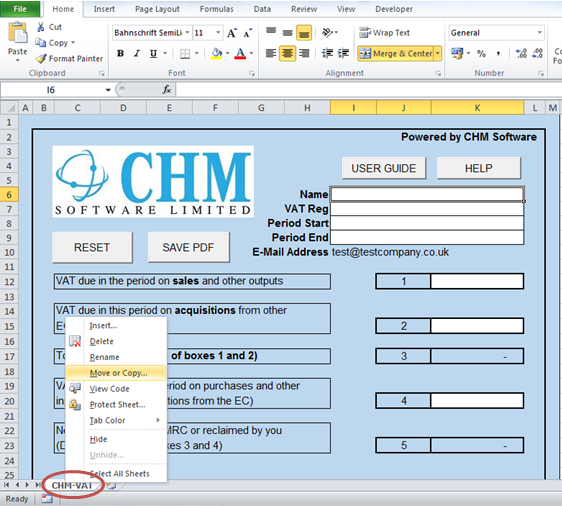 The bridging tool will now be embedded into your spreadsheet, repeat these steps if you wish to embed more sheets for additional VAT periods. You will now need to digitally link the Bridging Tool in order to file your VAT returns, follow steps in the User Guide to do this.